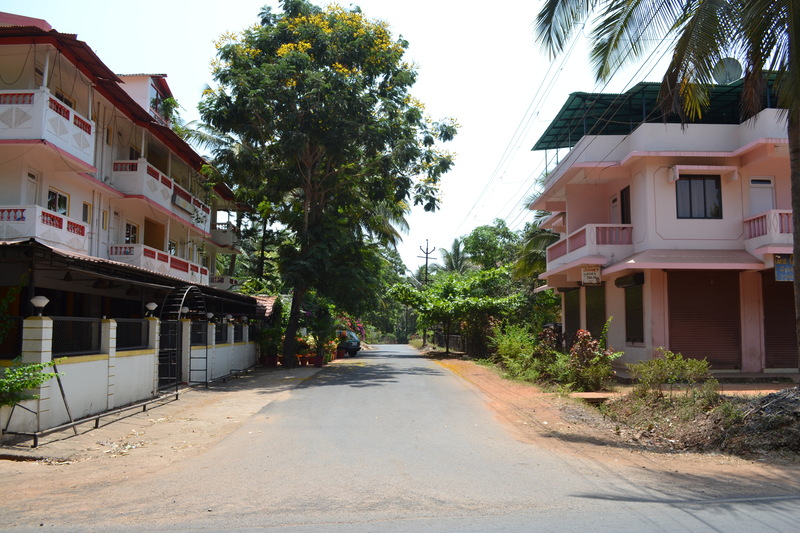 We stay in a guesthouse tucked away in the forest, just outside Benaulim. 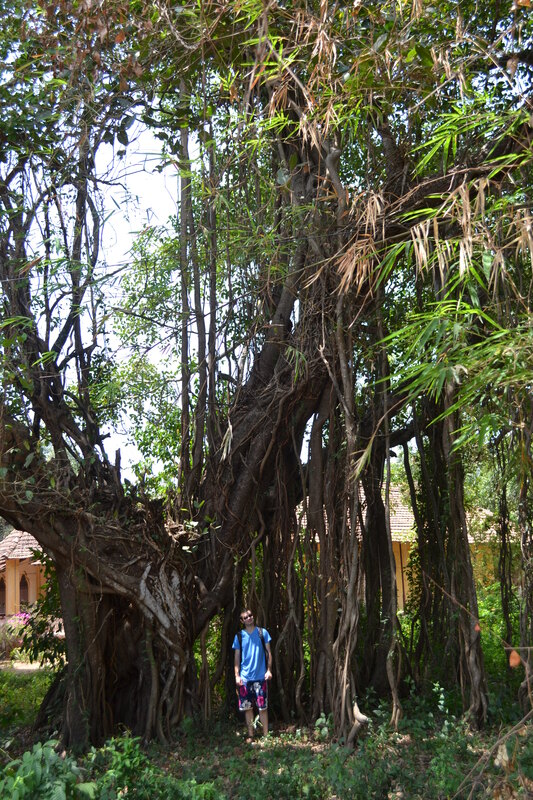 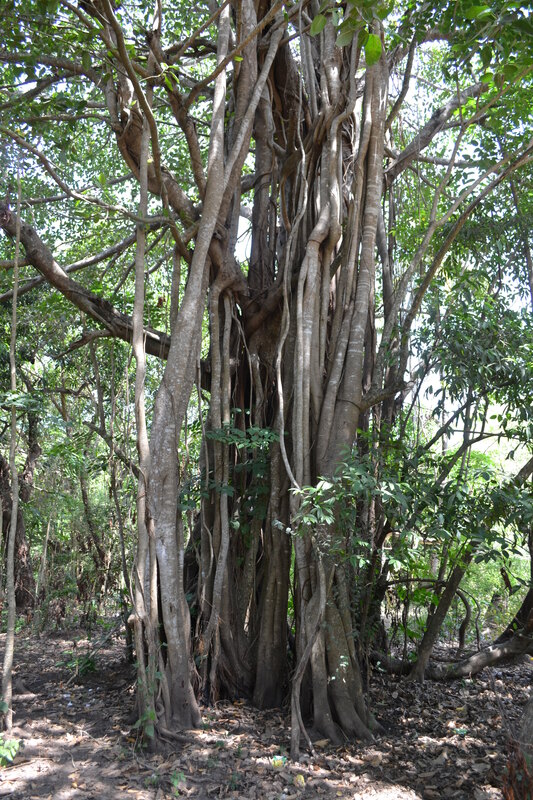 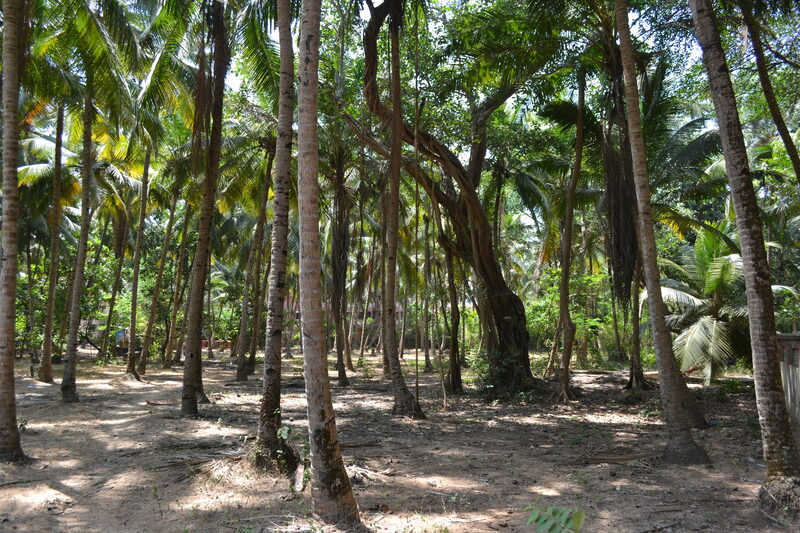 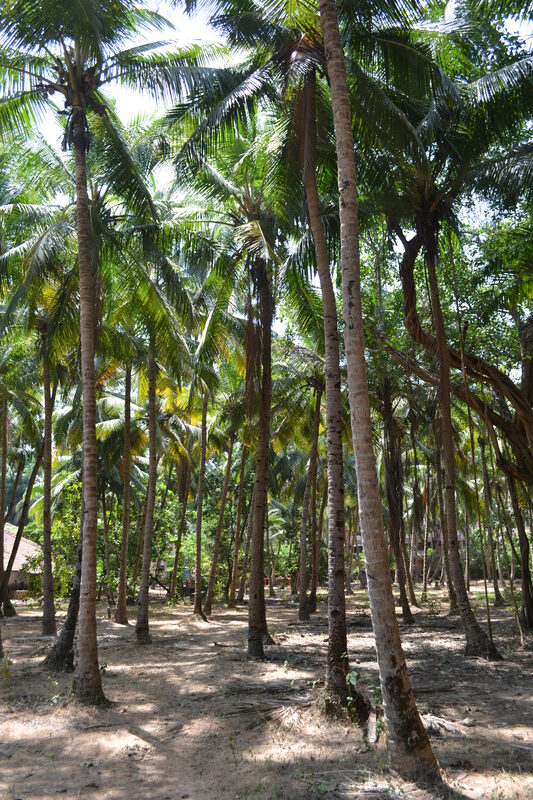 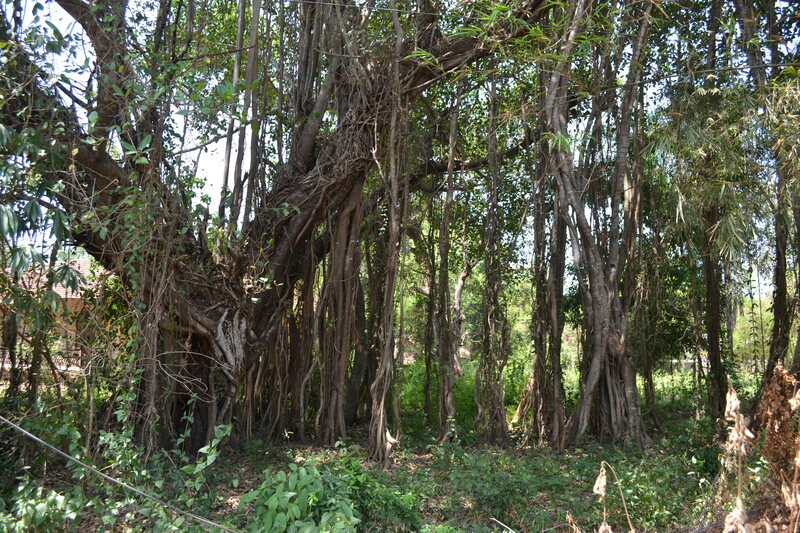 We take this path through the forest, passing giant banyan trees. 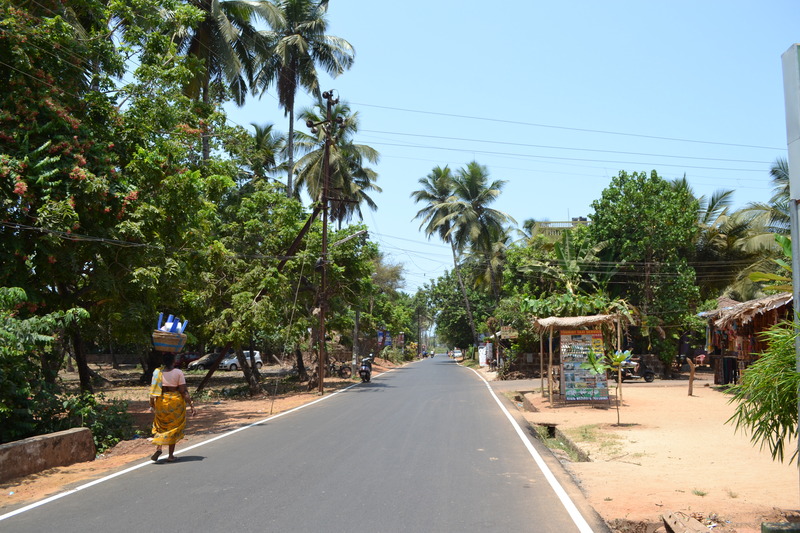 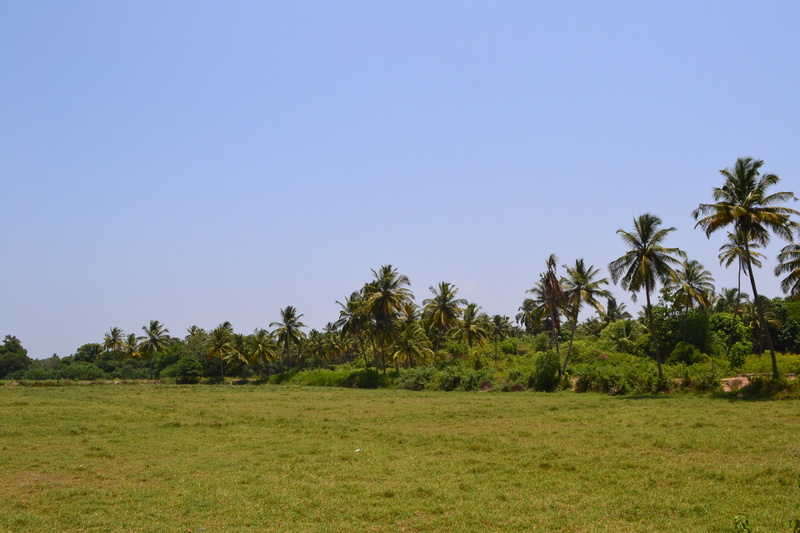 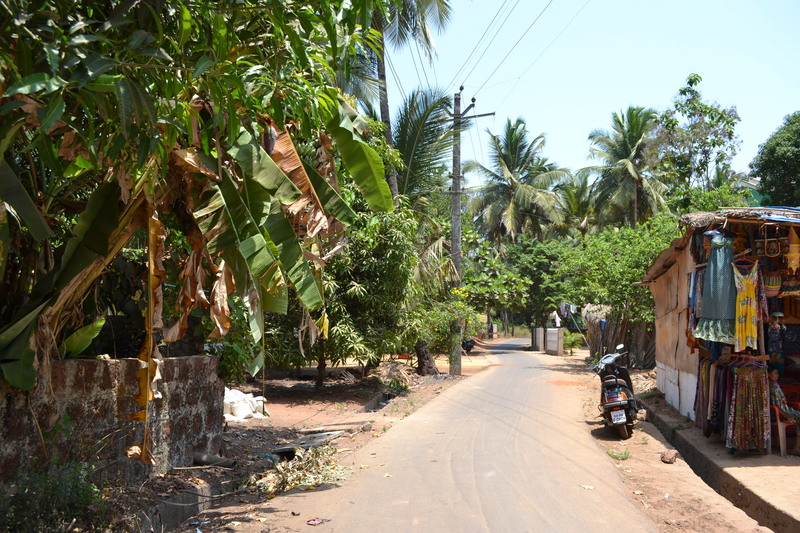 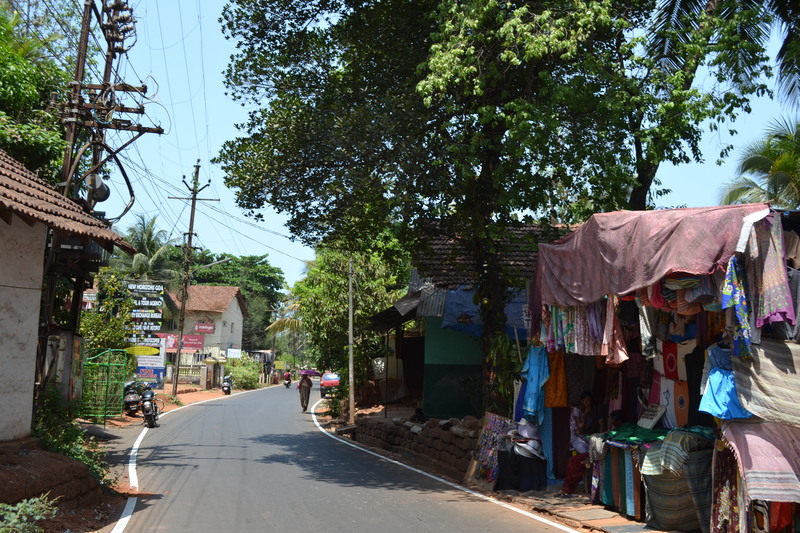 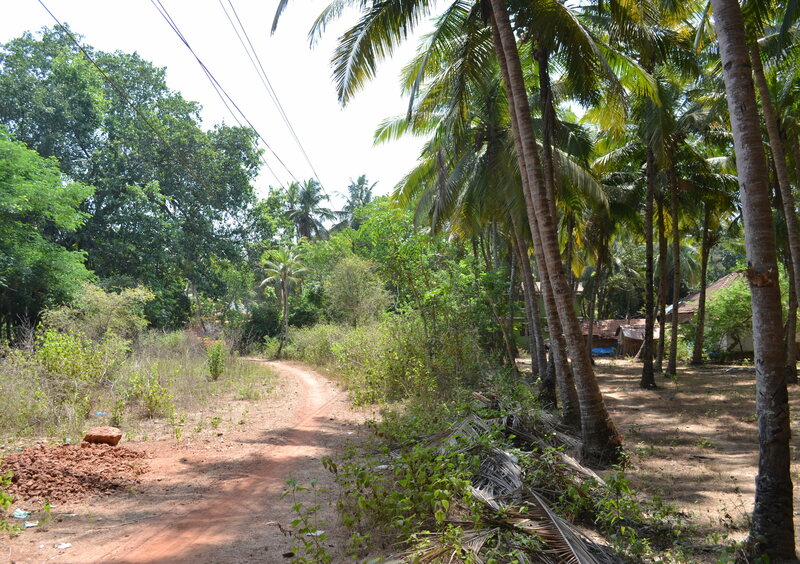 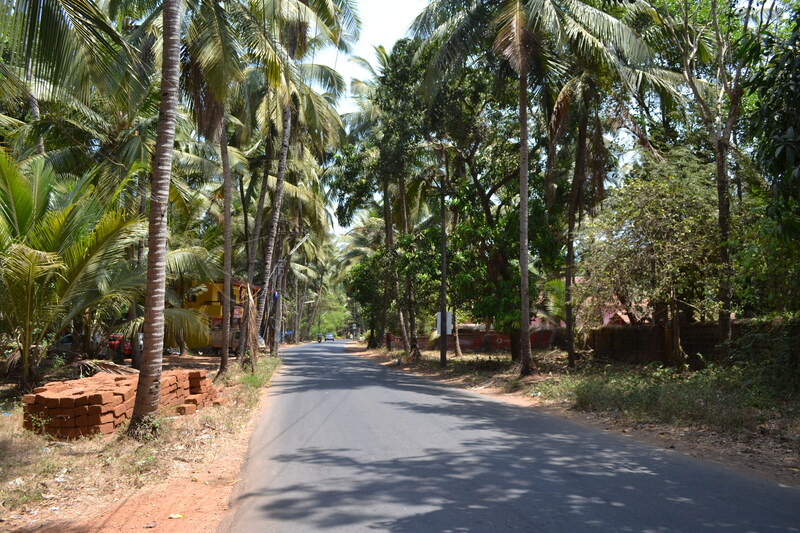 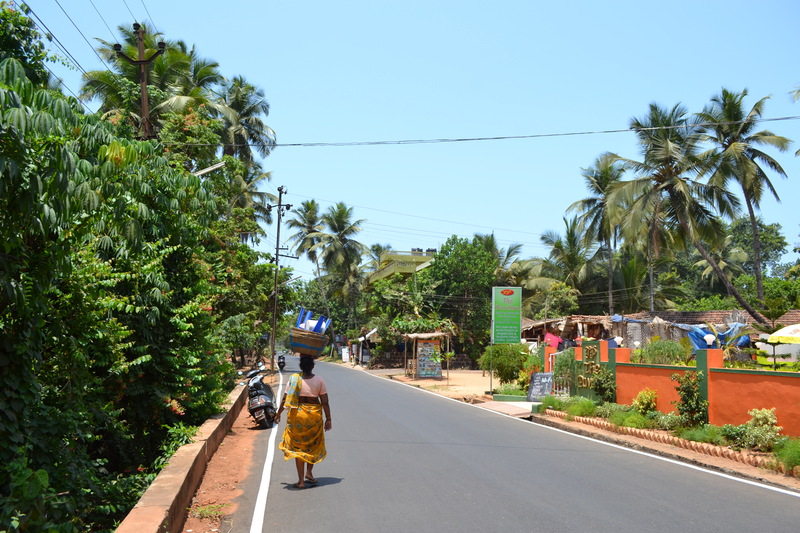 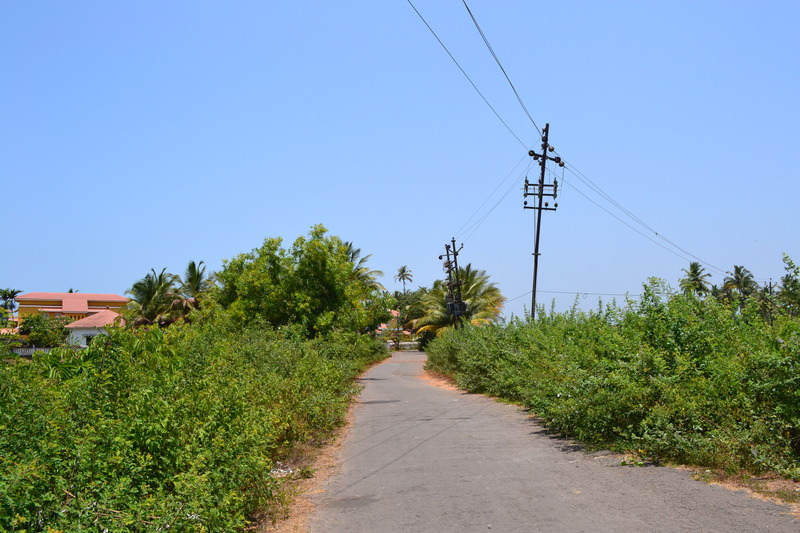 We walk towards the centre of Benaulim village. 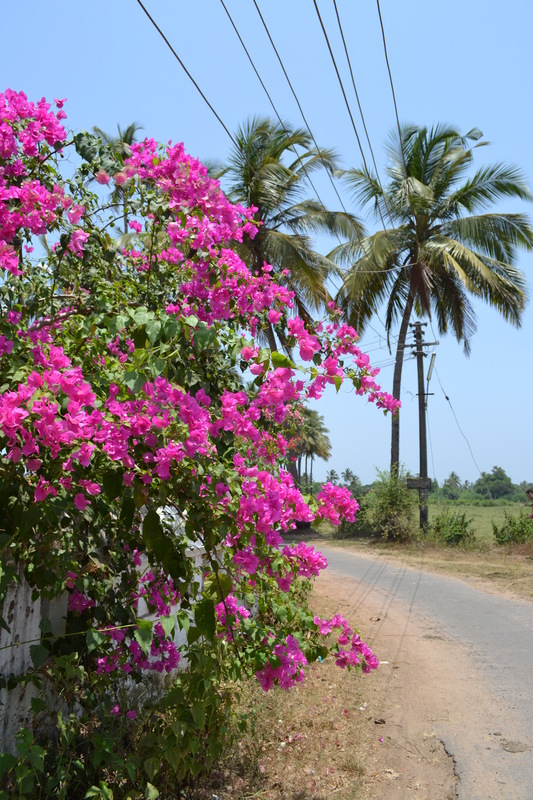 We take a side road through the fields, and pass these holiday homes with beautiful gardens. 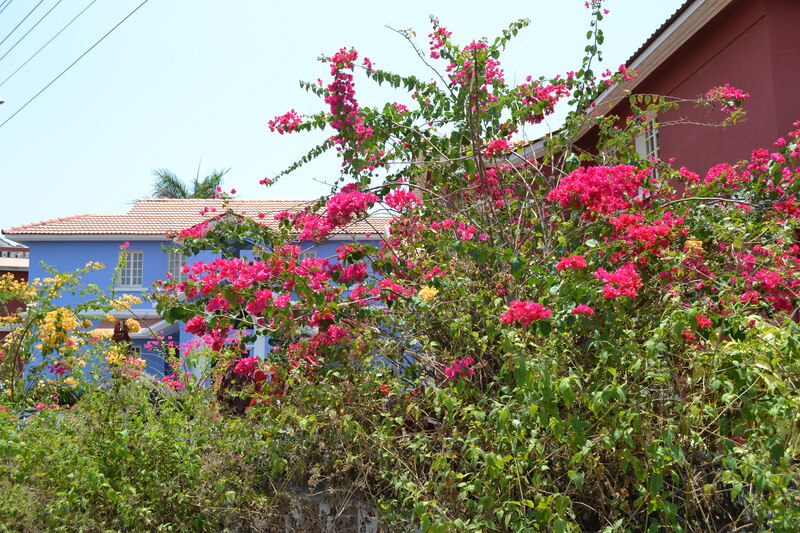 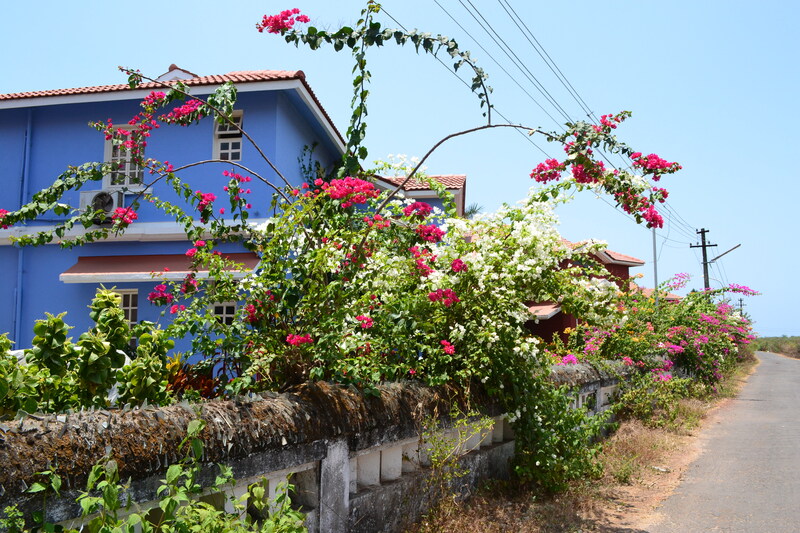 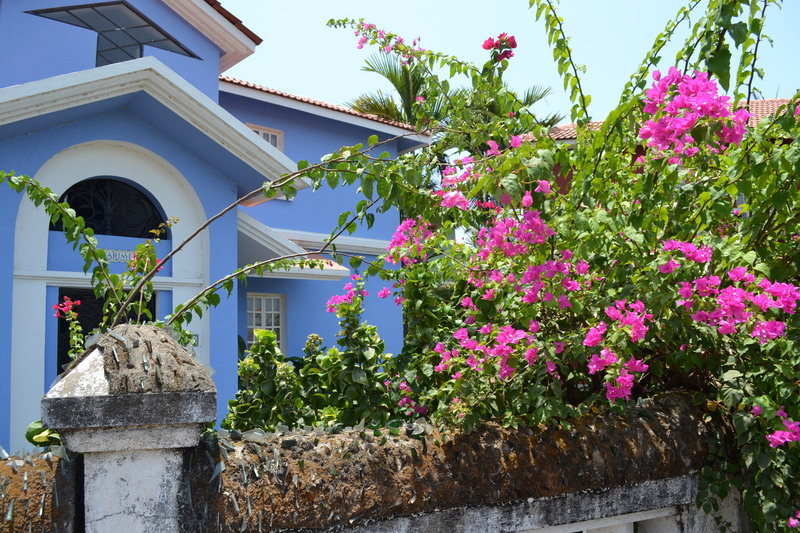 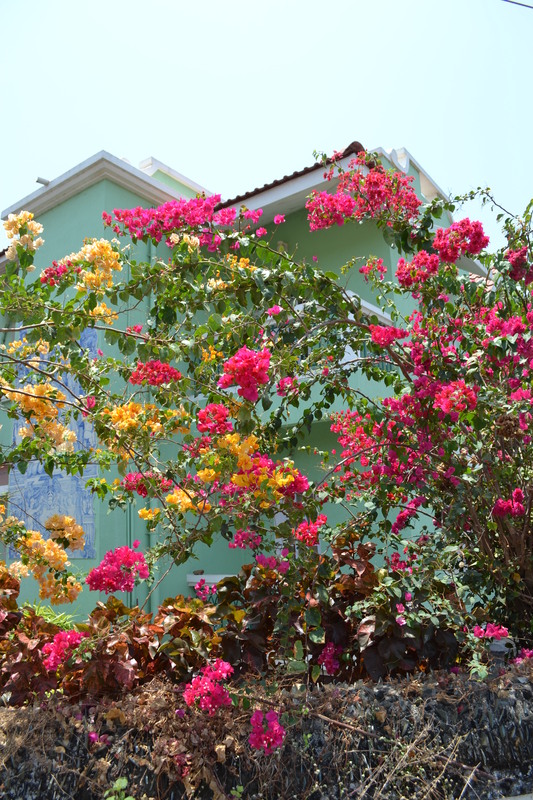 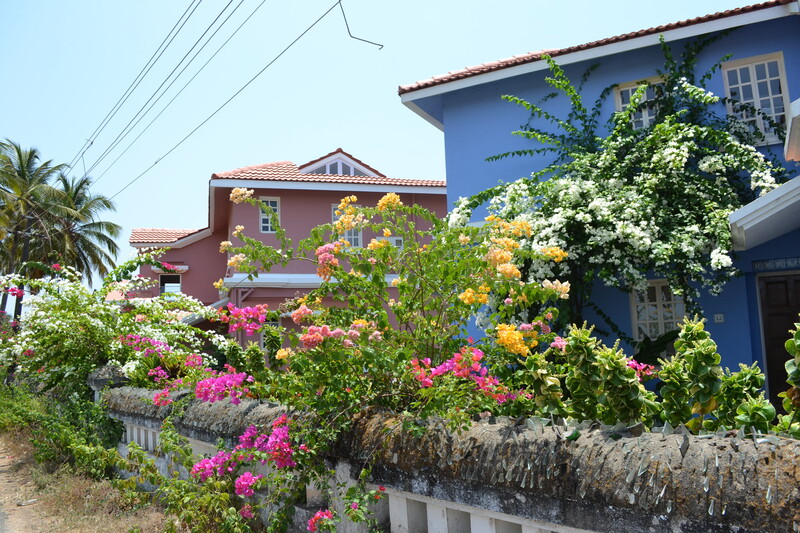 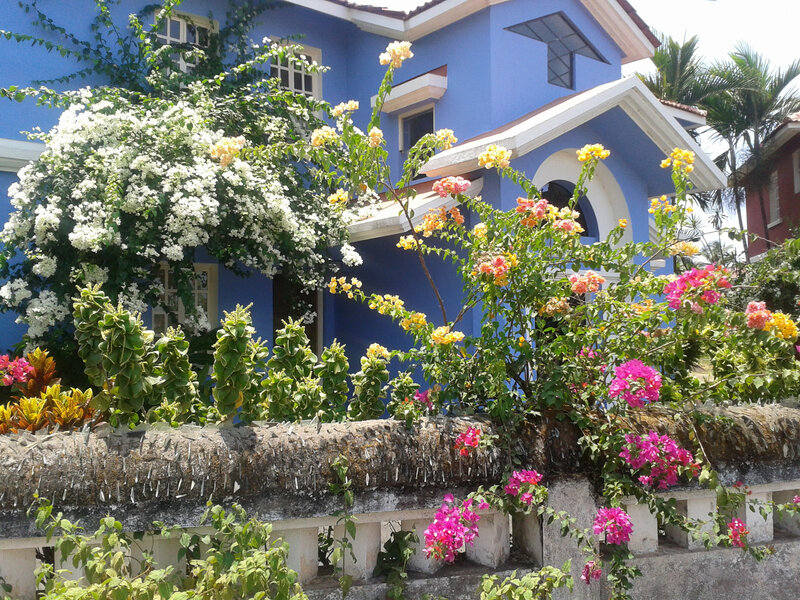 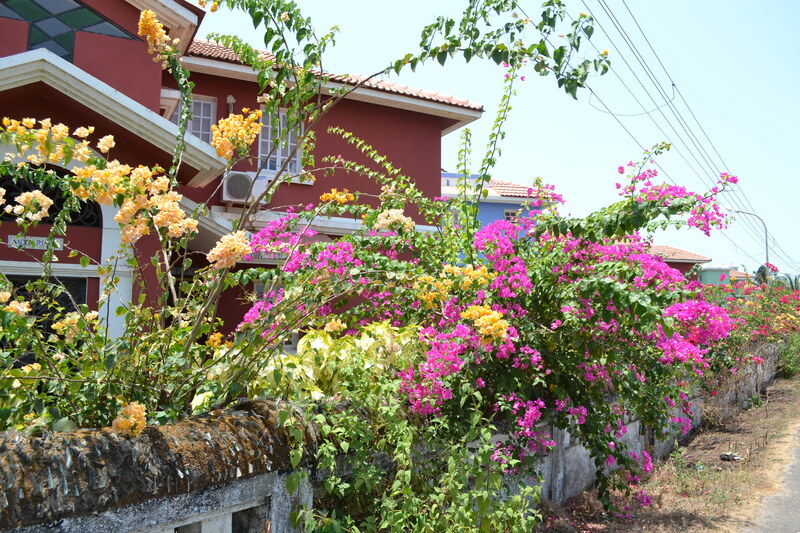 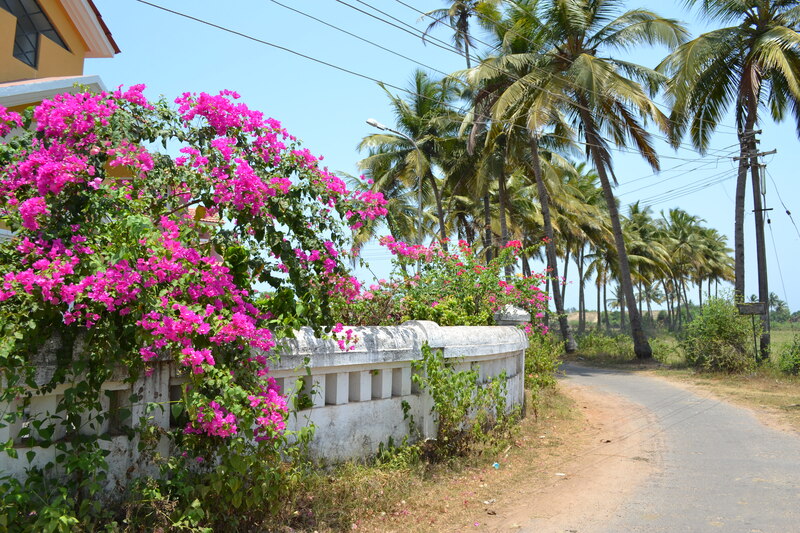 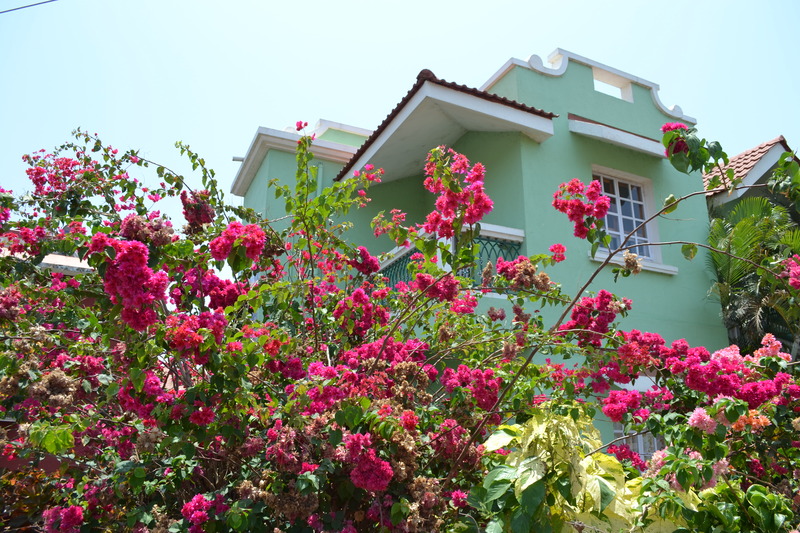 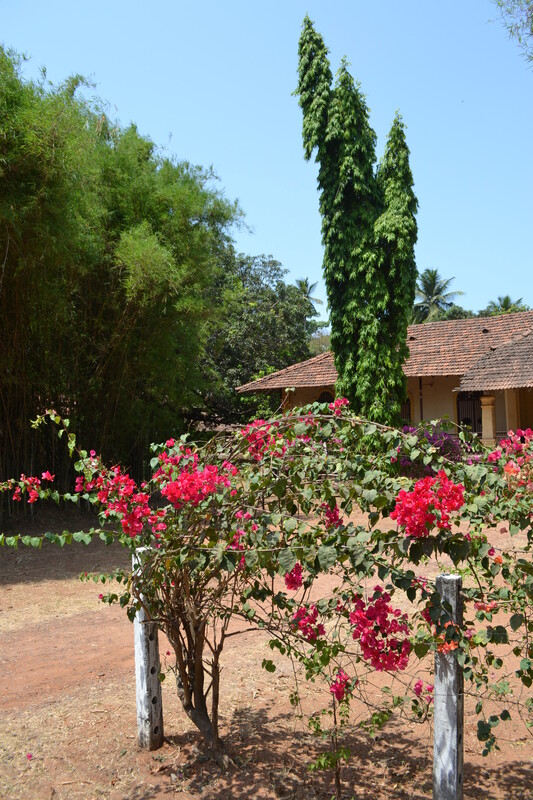 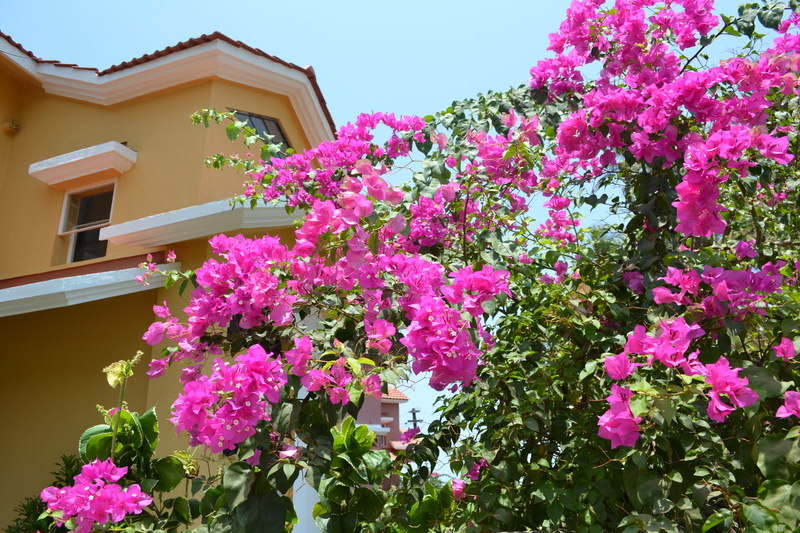 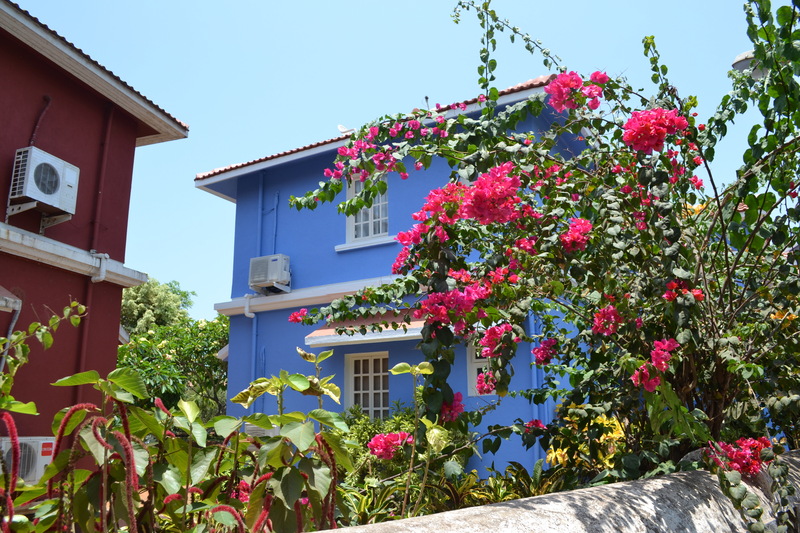 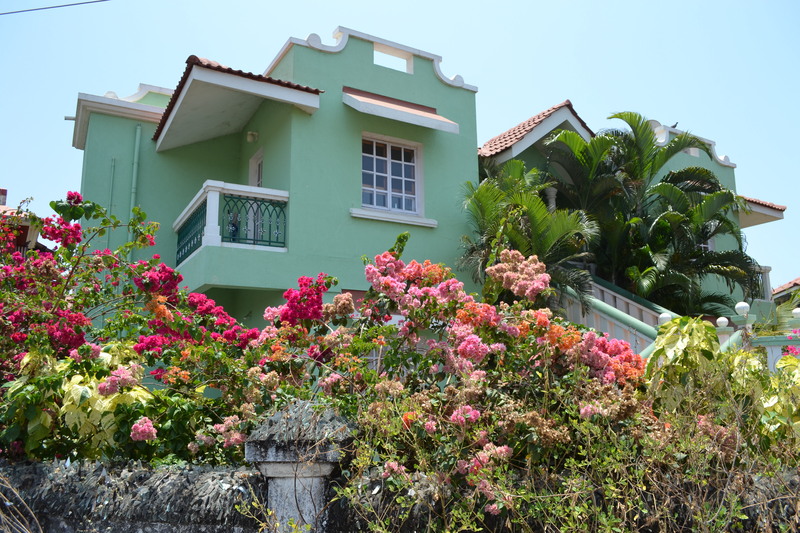 The abundance of bright flowers complements the varied colours of the cottages, and makes for very picturesque images under the blue sky. 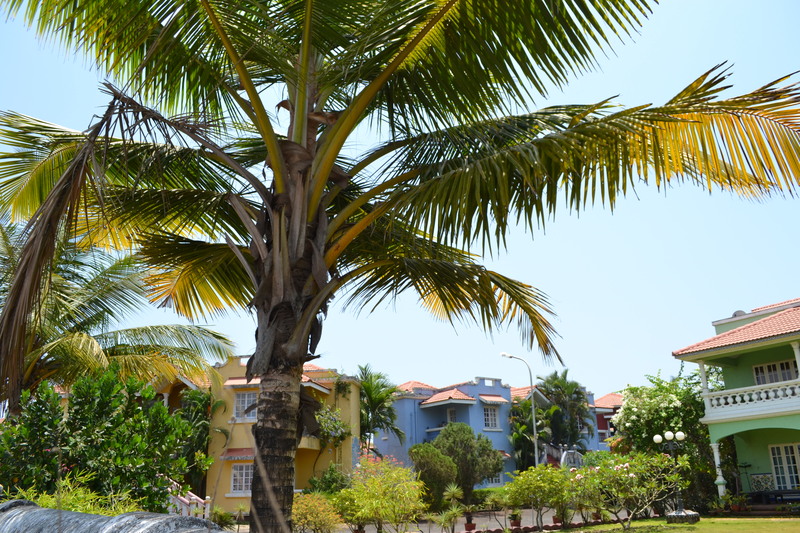 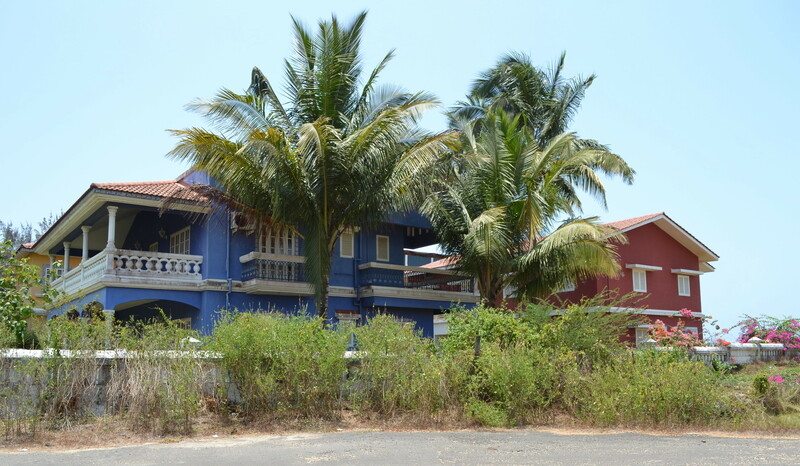 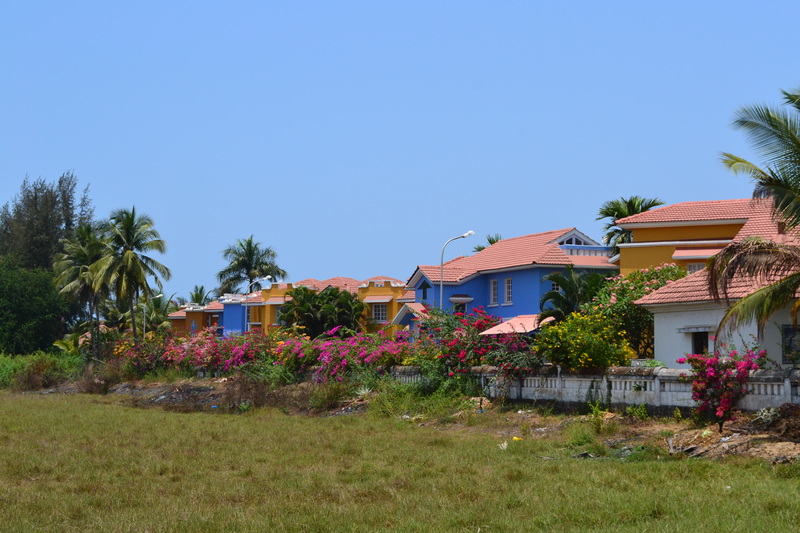 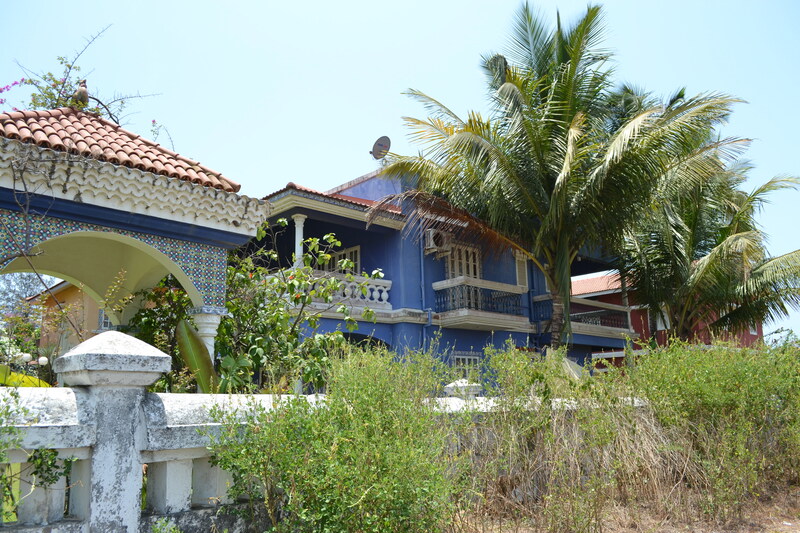 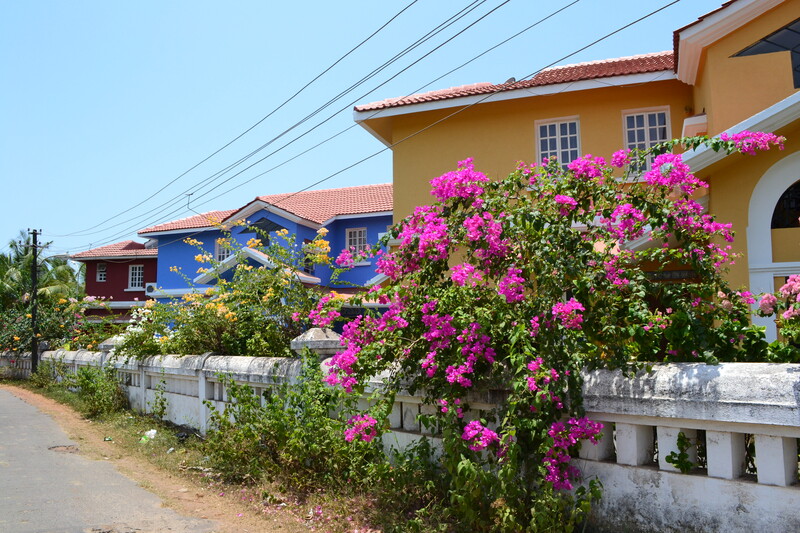 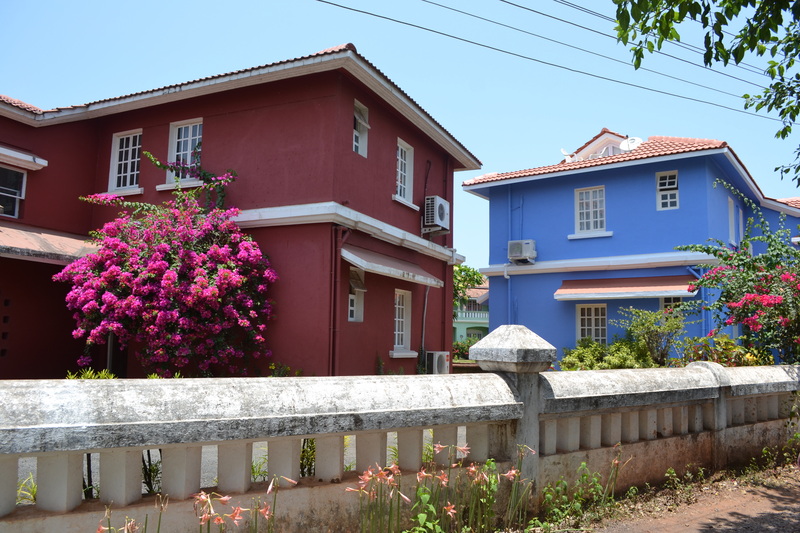 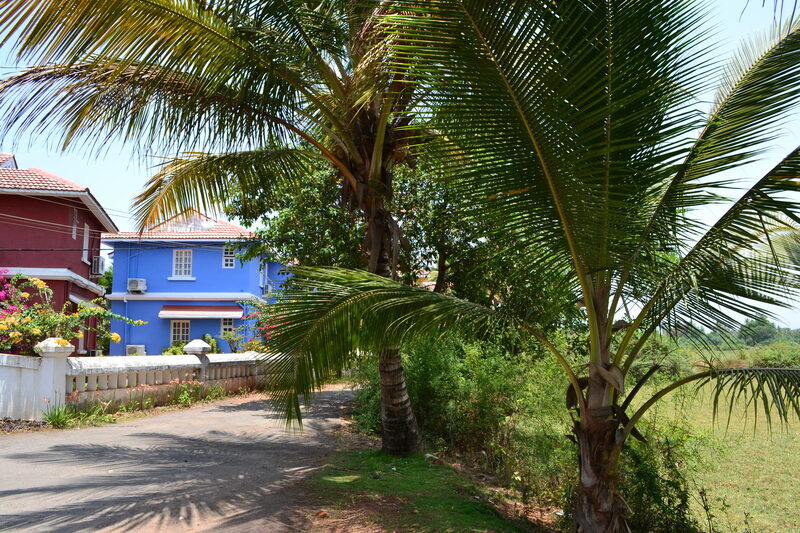 The houses have a variety of architectural styles, as well as colours, and plenty of palm trees. 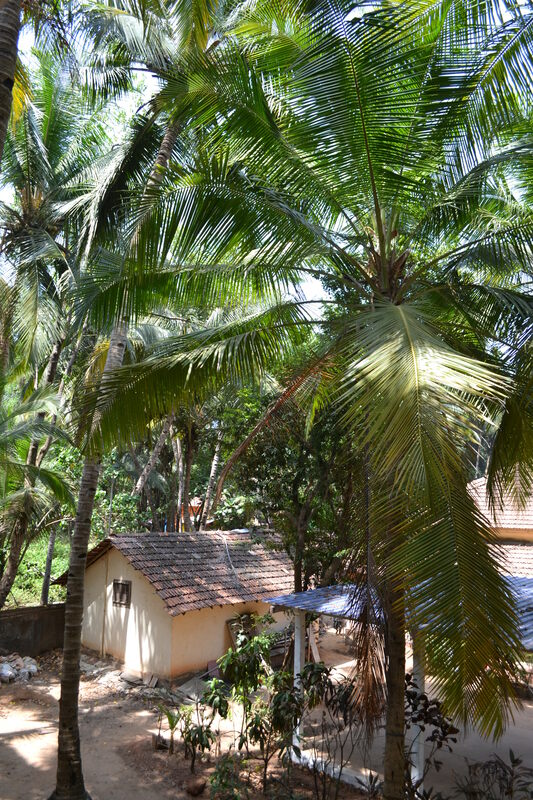 The balconies under the shade of palm leaves look particularly alluring. 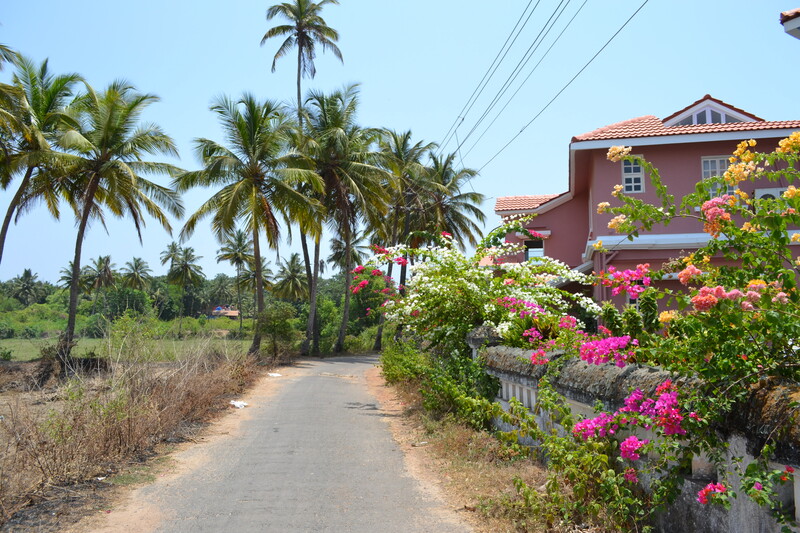 Behind the houses, the land turns to sand dunes, which sweep away down towards the ocean. 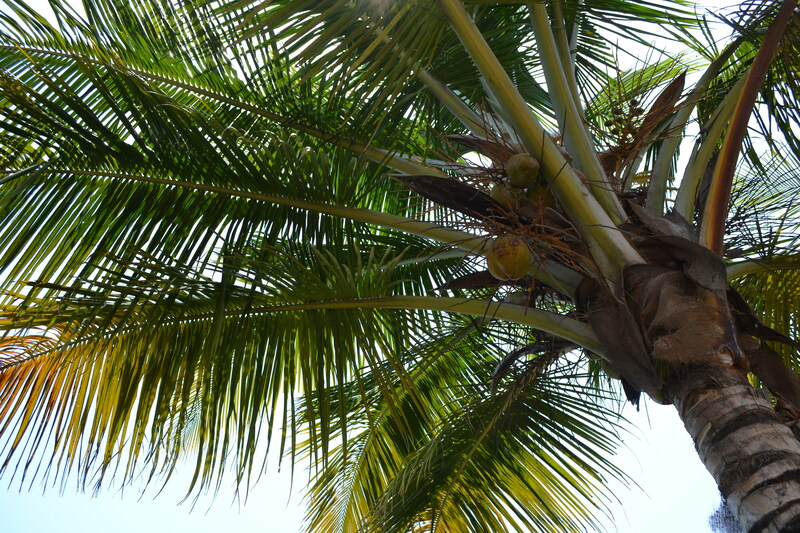 We can hear the distant crashing of waves, and take off our sandals and shoes to walk in the sand. 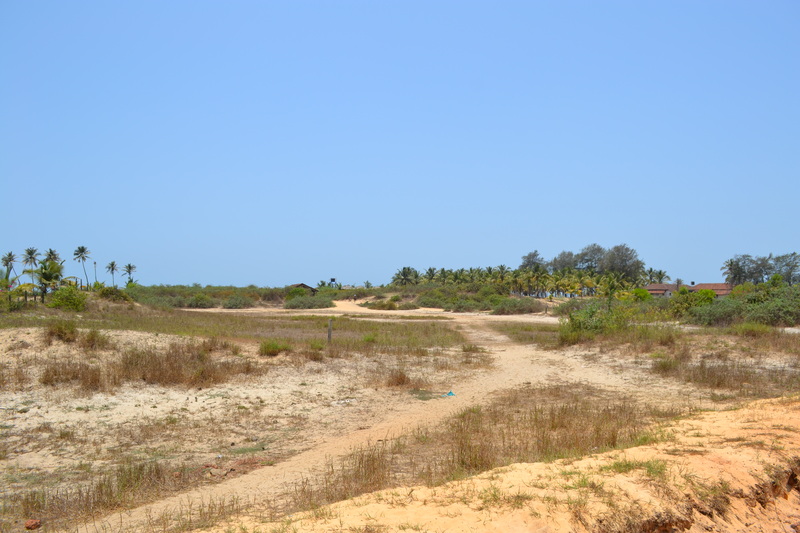 The sand is very hot – burning hot – and we run quickly over the dunes towards the beach. 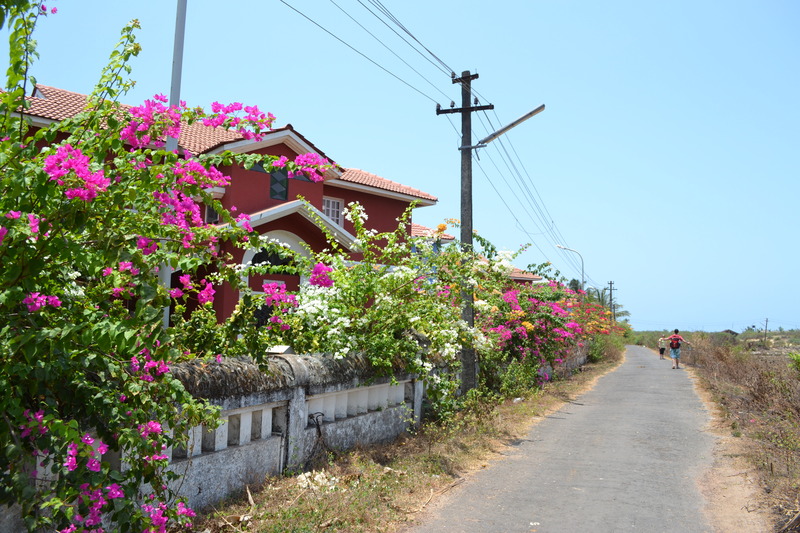 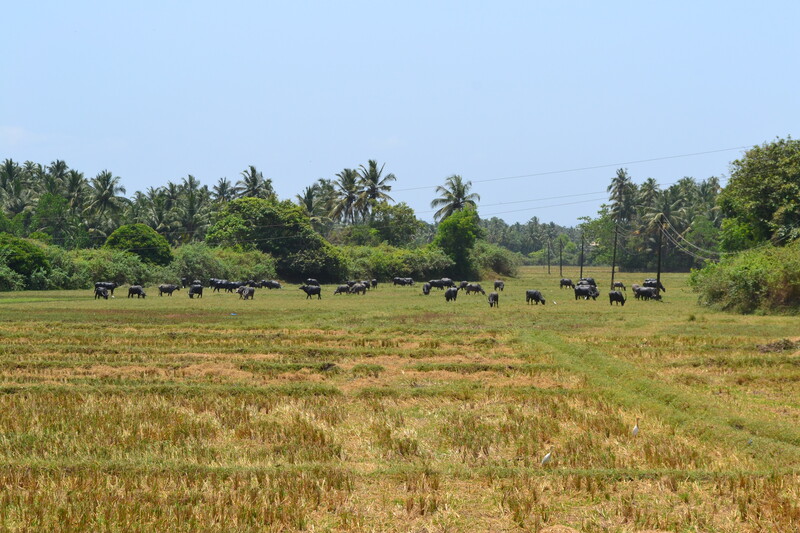 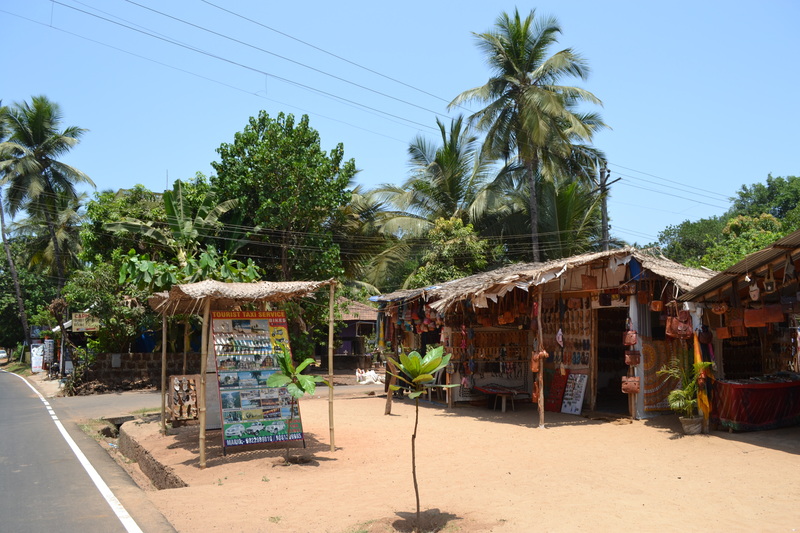 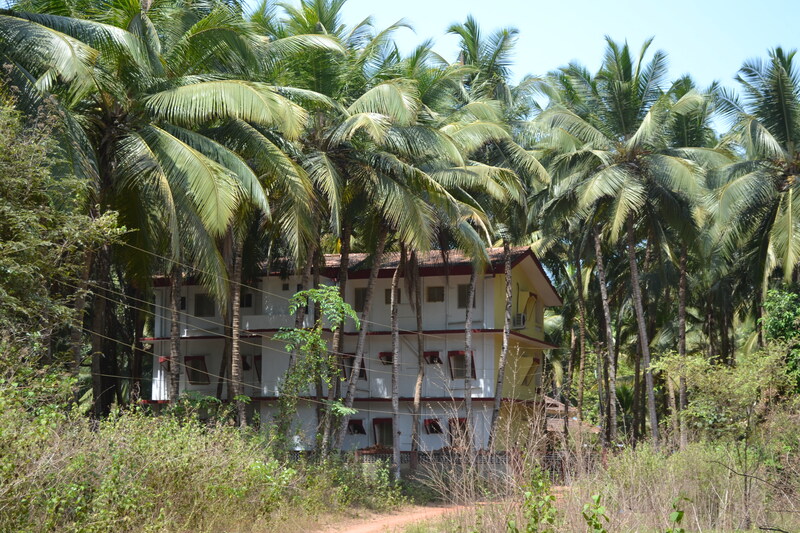 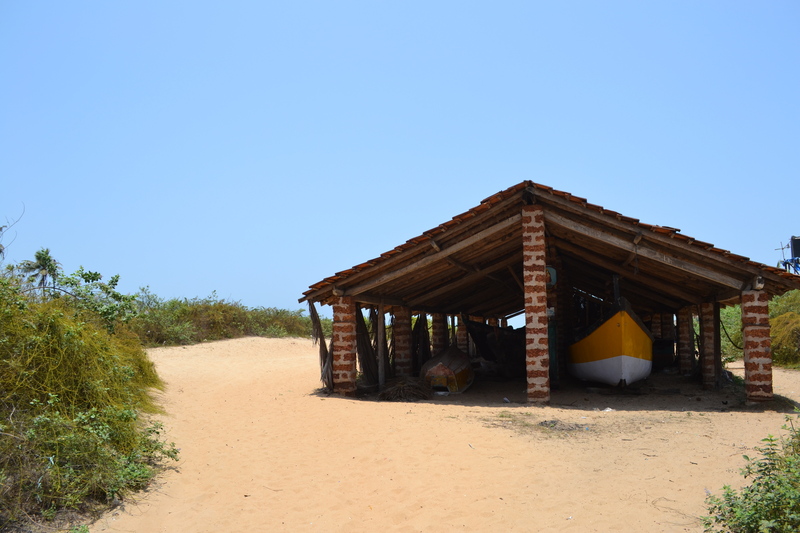 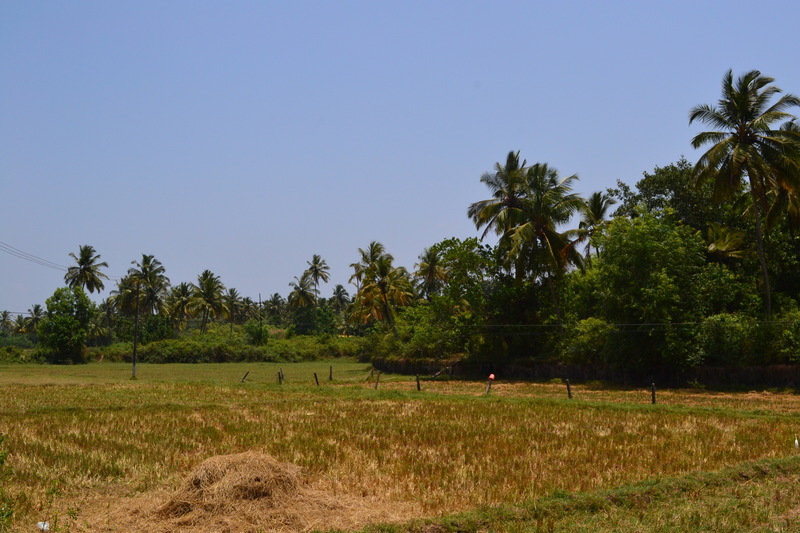 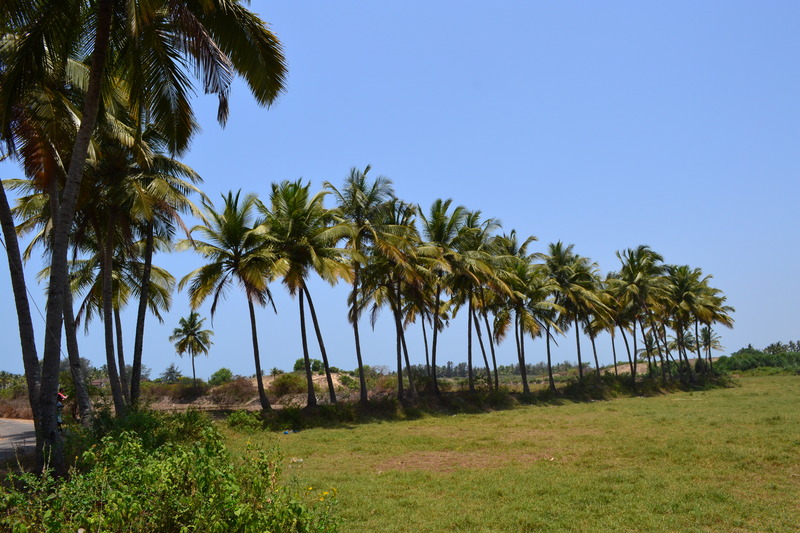 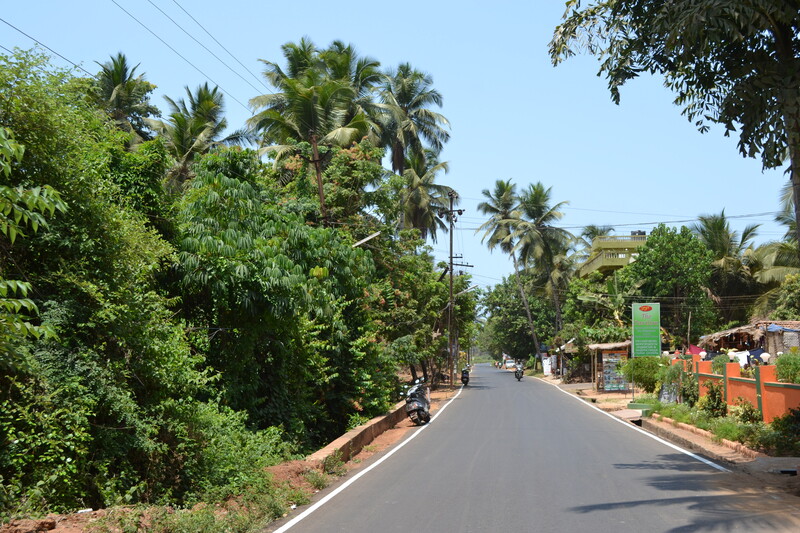 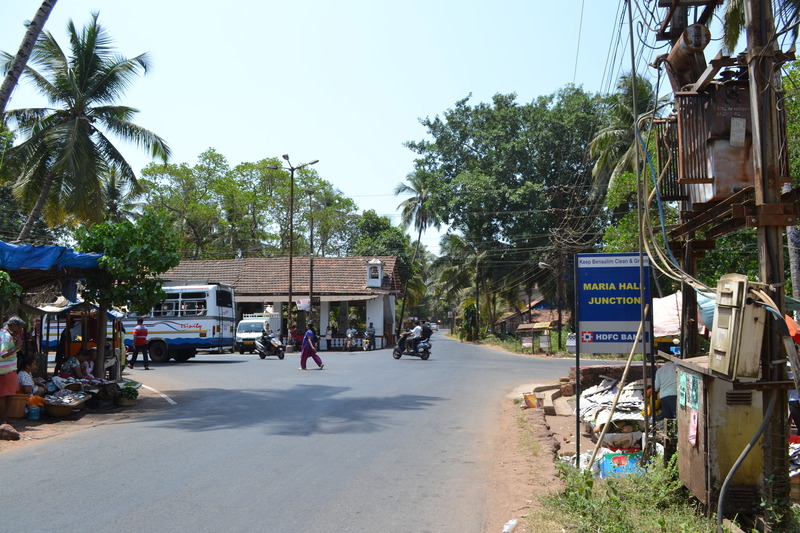 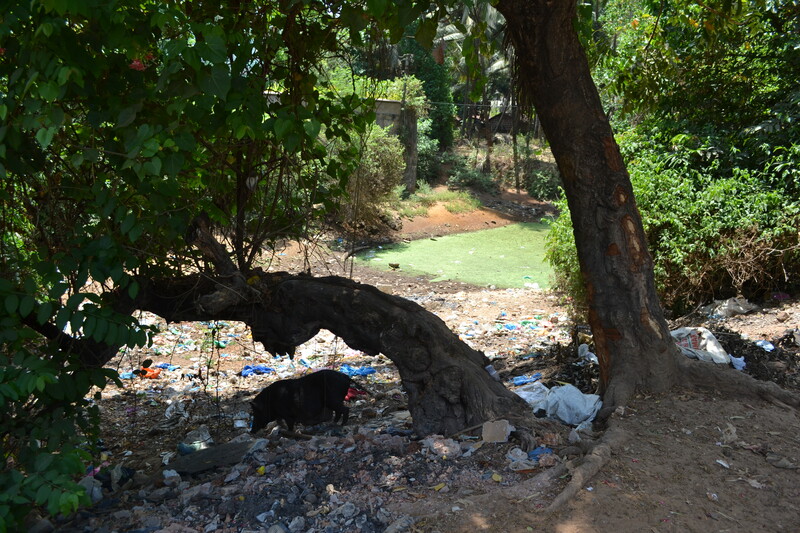 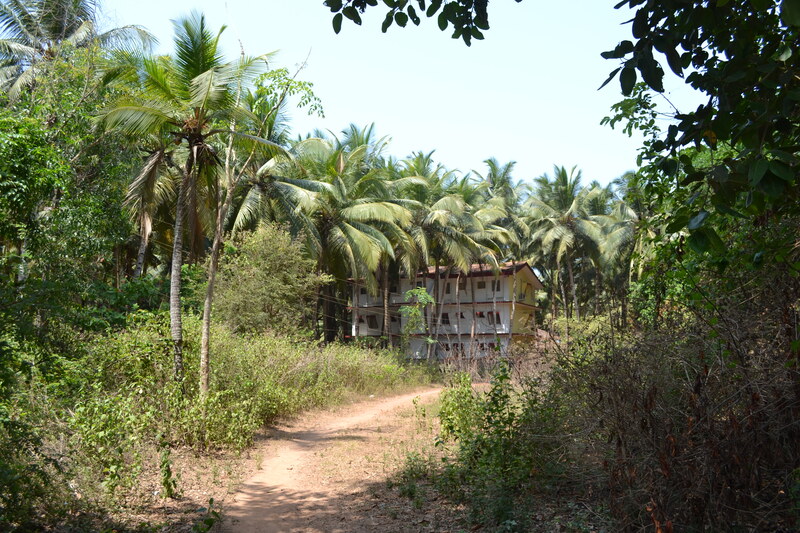 This part of Goa which people generally don’t know but it is also amazing and beautiful.